The SEPLAA Young Leaders believe in creating international linkages to promote peace, climate change adaptation and empowerment. SYLC 100 Leaves Campaign: The SEPLAA Young Leaders launched their advocacy campaign, ‘SYLC 100 Leaves Campaign’ which emphasized the need for climate change adaptation and environment preservation. 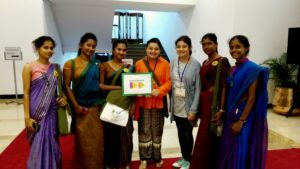 The campaign was conducted in Sri Lanka in October 2016, at the 5th Asia Pacific Climate Change Adaptation Forum. 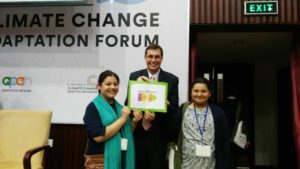 SEPLAA YLC Co Founders Amal and Dina Malik highlighted parts of the conference in their ‘SYLC 100 Leaves’ campaign. 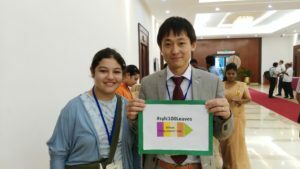 The SEPLAA YLC, through one on one interactions, explained the concept of the SYLC 100 Leaves campaign to over 47 experts from 27 countries at the 5th Asia Pacific Climate Change Adaptation Forum in Colombo from 17-19 October, 2016. The campaign was a 10 days advocacy effort during which the young leaders researched, learnt, traveled and gained experience on the job. 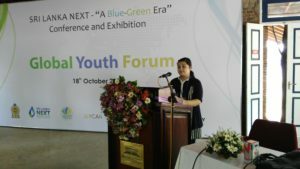 SEPLAA YLC presents at the Global Youth Forum for Climate Change, Sri Lanka: SEPLAA YLC Co Founder Dina Farooq Malik (11) was selected as the only Pakistani and youngest participant to speak at the Global Youth Forum on Climate Change (GYFCC) as part of the Sri Lanka Next Conference & Exhibition at Colombo on 18th October, 2016. 200 international participants attended the GYFCC. 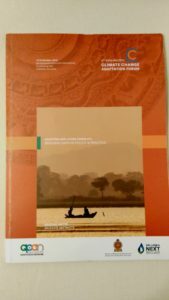 SEPLAA Young Leader gets published in the book on Adapting And Living Under 2 Degrees C: Bridging Gaps in Policy & Practice, published by UN Environment Asia and Pacific Office, Bangkok, Thailand. 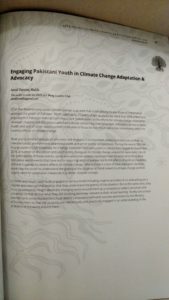 SEPLAA YLC Co Founder Amal Farooq Malik was the youngest expert to get published in the UN book where she wrote about ‘Climate -Resilient Development: Engaging Pakistani Youth in Climate Change Adaptation & Advocacy’. 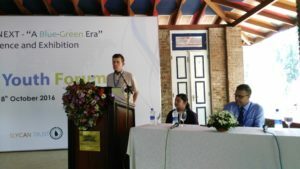 The publication was part of the 5th Climate Change Adaptation Forum which was held in Colombo, Sri Lanka, Over 800 international delegates from over 60 countries attended the three day forum and exchanged ideas on climate change adaptation and living below 2 degrees C on technical issues.